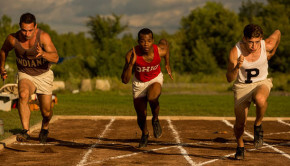 In a world impressed by celebrity, wealth, athletic prowess, and power, two of this year’s best biopics eschew all of that and celebrate intellectual genius and creativity. The dramatization of Stephen Hawking’s story, The Theory of Everything, hit theaters at Thanksgiving, and a few weeks later – or months later for those of us in the middle of the country – The Imitation Game arrived, telling the story of one of our least-known, most important creative geniuses of the 20th century. Alan Turing, a British mathematician, was instrumental in cracking Germany’s Enigma code, hastening the end of World War II by an estimated two years and saving countless lives. He did this by creating the world’s first operational computer. Benedict Cumberbatch, in his first big-screen leading role, plays the quirky, socially inept loner with conviction and emotional vulnerability, deservedly earning his first Oscar nomination. Cumberbatch has rich material to work with, both in the character himself and with the film’s writing and directing. Turing, a complex character whose affect possibly places him on the Asperger’s spectrum, is also gay in a world that regularly persecutes and prosecutes homosexuals. Although his sexuality is a minor plot line to the central story of cracking the code, its importance is crucial to the film. The script and Morten Tyldum’s direction emphasizes the heinous practices of mid-20th century Britain toward homosexuals by framing the story with the uncovering of Turing’s secret and the consequences of that discovery. While society may have condemned it, Turing’s sexuality is acknowledged and accepted by those close to him. 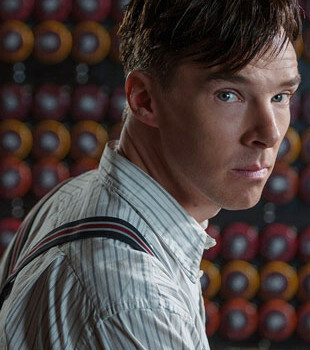 The supporting cast members – Keira Knightley especially – turn in strong performances as they interact with Cumberbatch’s Turing. Knightly plays a brilliant woman in a pre-women’s movement sexist world, and the character navigates that world with strength and, after an initial wavering, uncompromising determination. Her coquettishness, while unacceptable in a 21st century professional woman, is necessary and believable in this setting, and her performance earns an Oscar nomination in the supporting category. 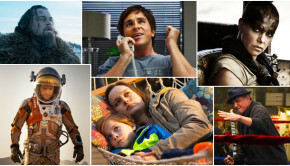 The film earns another six nominations from the Academy, including best film, best directing, and best adapted screenplay. Under Tyldum’s direction, Graham Moore’s screenplay feels at times like a detective story, at times like a war romance, and at times like a British period drama. Using real footage from World War II newsreels, there’s no need for graphic battle scenes or special effects to recreate the war as we’ve seen done rather poorly in other films this year (Unbroken and Fury come to mind), and the film focuses on the human toll of living in a world where bombs fall regularly and destroy any chance for a normal existence. The real toll captured in this film, however, is the toll the mores of the day and the British government’s desire for secrecy take on its lead character. Turing’s treatment by his government in a world where he never receives the acclaim he deserves, either for his role in winning the war or his place in history as the inventor of the modern computer, is reprehensible. His story remained obscure for most of us until the release of this film, and its revelation is long overdue. While the film isn’t perfect – its final scenes are a bit forced and Cumberbatch slightly overreaches emotionally – it is a story that needs telling, is beautifully scripted with strong performances, and lingers long after the lights come up. 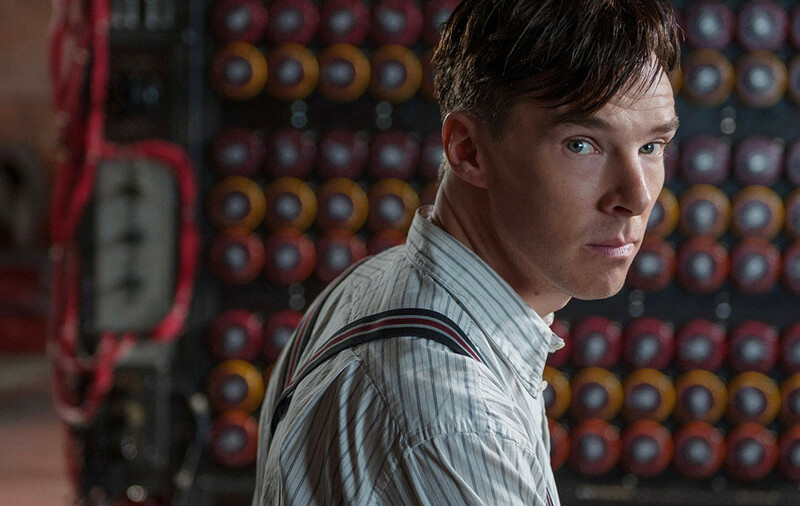 The Imitation Game is showing at Sioux City’s Promenade Theater – click HERE for showtimes.